The chair he’s sitting in is usually occupied by Ajax football team captain and Holland midfielder Siem De Jong. We’re on a tour of Amsterdam Arena, home to Ajax, and we’re in the press room. I’m sitting in the journalists’ seating area with most of our 20-strong tour group while my son and three Brazilian guys face us in the interview seats. Anita, our tour guide, explains what happens at a press conference and then everyone has a chance for a photo in the hot seats – the Brazilians produce their national flag when it’s their turn and look quite emotional. I, a football ignoramus, can’t fathom why they’re doing this, but nobody else seems bothered. When Anita leads us through the players’ tunnel to the edge of the pitch I can’t understand why the rest of the group is taking so many photos. It’s my first time inside a football stadium and initially all I can see are thousands of seats around a partly covered pitch. But as Anita talks about the different parts of the arena, from the leather ‘business’ seats with heaters above, to the area for away fans surrounded by a protective screen, to the lounge for the royal family, to the areas where particular groups of Ajax fans sit, I’m fascinated. The stadium looks huge to me – with 53,600 seats it’s the largest in Holland (although my youngest tells me that Arsenal’s Emirates Stadium is ‘much bigger’) and has a roof which can open and close. Inside is an interactive players’ wall which my youngest likes – using a free app we scan parts of the wall to find out more about particular players. The security room is impressive, linked to cameras which monitor the whole arena and surrounding area. Anita says that the cameras are so powerful that they can read a text on a mobile phone screen even inside the nearby train station. My youngest is disappointed that we don’t go inside the players’ dressing rooms, but the doors are open and we can see inside them. Our one-hour tour is in English as there are no Dutch people in our group and my son is the only child there. There are tours of the arena specifically for kids, but not on the day we visit. My son lives and breathes football and he says the stadium tour is the highlight of our three-day trip to the Dutch capital. I’m surprised by how much I enjoy it too and would definitely recommend it as an interesting family trip in the city. 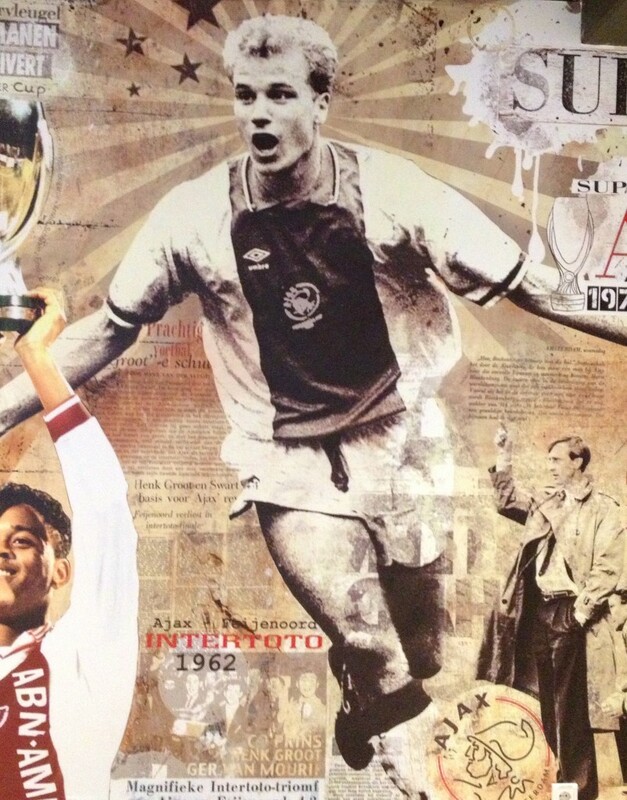 Family travel lowdown: Tickets for the one-hour World of Ajax Stadium Tour which we experienced cost €14,50 for adults and €9,50 for children from 5 – 12 years. Our tickets were free of charge for the purposes of this review. Thanks to holland.com for arranging our trip to Amsterdam and to KLM for providing our flights from Kent’s Manston airport. So have you had a good day out with the kids recently? Mari’s World had a wonderful day at a French castle with her aspiring princesses, while My Gorgeous Boys enjoyed a trip to Yorkshire Wildlife Park. 1. 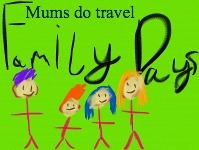 Write a post about a family day out that you’d recommend, or find a relevant post you’ve already written. 2. In your post include a link to this #familydays post so that your readers can be inspired by everyone else. 3. Enter your post on the Linky below. I have 4 boys and a husband that don’t “do” football, but glad he enjoyed it – sounds magical to him. He’s taking me to an Arsenal match next – I’m pretty nervous! What a nice idea for a linky. Just discovered you through Britmums. Not a football family here – well not yet anyway. My wee boy is only five so I may have all this to come! I’m glad you like it – join in any time! We both really enjoyed it, it was fun. Chocolate is always good. Thanks for linking up! my son not yet mad enough on football to do this! Oooh how special! I’m not a football fan, but I know several young boys who would be ecstatic over this! It was a great tour, we both enjoyed it. I knew you would enjoy it. We visited the Nou Camp in Barcelona a few years ago and have done a couple in the UK. We’ve always been allowed in the dressing rooms but I can understand why they might not want people tramping in and out, even when it’s empty. It was really interesting. My son wants me to go on an Arsenal tour with him now = he’s already been with his Dad.